Our regular readers will remember that just over a week ago we brought a beautiful iOS 8 concept video to your attention. The Mission Control concept was designed to build on the work that has already been implemented in iOS 7 by taking things a little further to mix the Control Center and multitasking facilities together. The implementation of the concept definitely managed to strike a chord with us, and as you know, the jailbreak community never seems to waste any time in snapping up a good idea and making it a reality. It looks like Mission Control concept has been rebranded as Vertex and will be heading to a Cydia based repository near you in the near future. So what exactly is Vertex? Well, for starters, it’s yet another example of a powerful jailbreak tweak that has been made possible by the design community. Vertex will attempt to offer the the best parts of Control Center and app switching without the need to invoke two different areas to handle the actions. The introduction of Vertex will mean that tasks such as switching between backgrounded apps, toggling off system controls and interacting with the quick music options will all be handled from one centralized area. 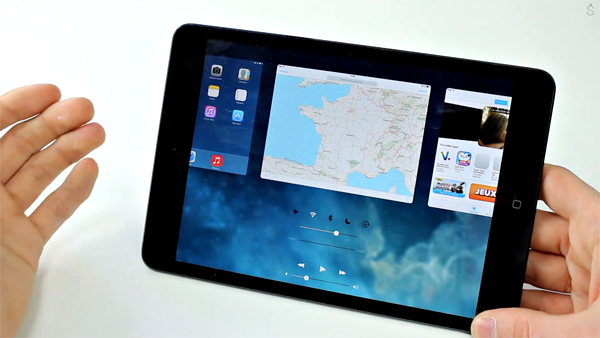 The amalgamation of Control Center and the app switcher not only means that everything is quicker and more efficient for the user, but it also allows an entirely unique and beautiful interface to be built to make the experience a lot more pleasurable. The developer behind the package has also tried to take things a little further than the initial concept. The whole Vertex interface will be overlaid on top of a blurred version of the user’s current wallpaper to give it the authentic iOS 7 look and feel. Add great functionality then stick in some blurs and transparency. What more could you want? 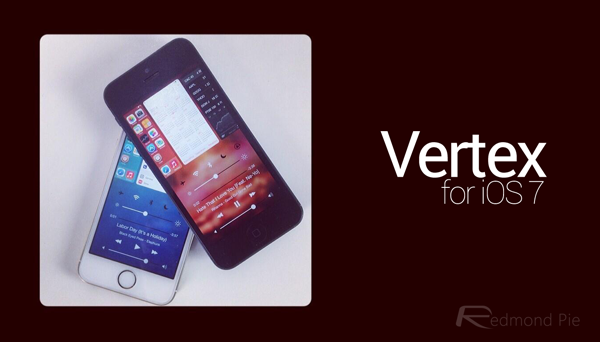 Vertex may not yet be available to purchase, but it’s definitely one of those exciting packages that will stir up some interest in the jailbreak community. 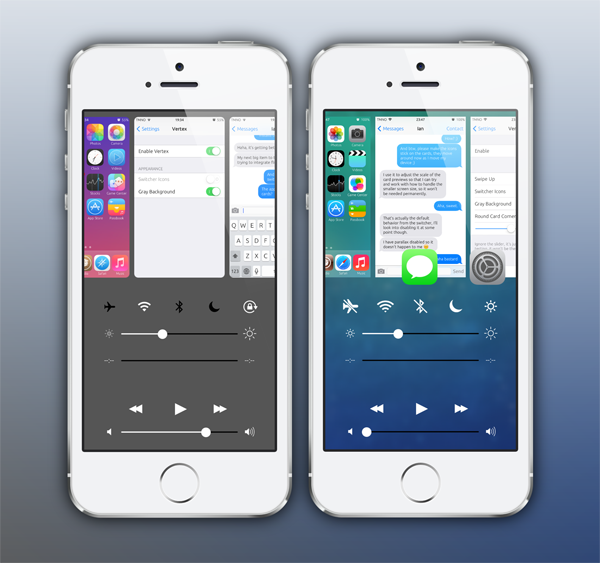 The tweak is currently in development with no estimated time for release just yet. Rest assured, we will continue to bring more updates about this package as they filter through. And yes, in case you’re wondering, it’s compatible with the iPad too, and is not limited to just the iPhone.